Let us help ensure your popup booth really pops at any event or occasion. Equipped with a flat top, the speaker podium lets you display products or promotions. 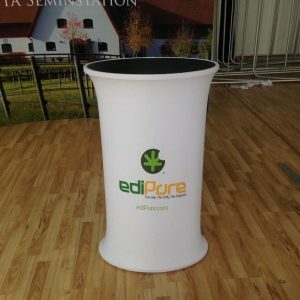 The unique look differs from a traditional table helping your business stand out at indoor/outdoor events or tradeshows. 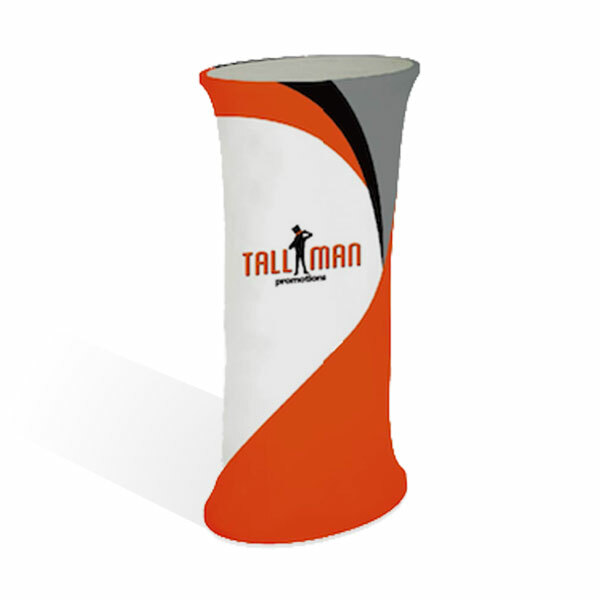 TALLMAN.PROMO speaker podiums provide eye-catching displays that can be customized to attract clients and customers. Showcase new products or promotions for customers to see while you use other items to pass on information and generate business. 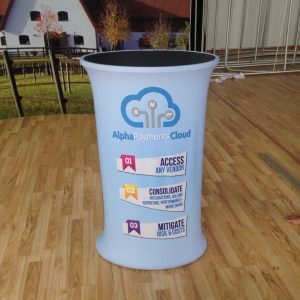 TALLMAN.PROMO speaker podiums eye-catching displays that can be customized and are sure to attract clients and customers. The speaker podium offers custom graphics that allow you to catch the attention and curiosity of those passing by because of the uniqueness. Use your speaker podium display to showcase new products or promotions for customers to see while you use other items to pass on information and generate business. 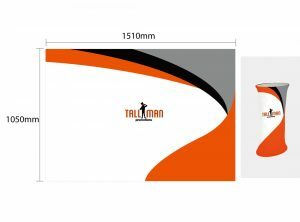 Speaker podium popup displays are 59.5cm x 39.5cm x 100cm in size. Speaker podium display popups are made from a combination of 210g Elastic Knitted, 250g Soft Knitted, and 260g Elastic Knitted polyester. This product comes standard with no further product options.